14" x 8"/35.5cm x 20cm. A sustainable, renewable resource that naturally replenishes itself, making an ecological responsible alternative to clear cutting old growth forests. 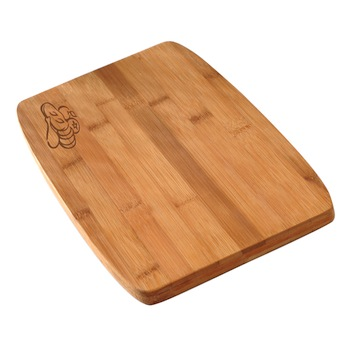 Bamboo is durable, moisture resistant, sturdy and lightweight. Heat and stain resistant. Naturally anti-microbial. WonÕt absorb odors or flavors and wonÕt dull blades.